Burning Man is just a gathering of hippies when a giant wooden effigy is set ablaze, right? According to a recent report on the annual event in the Nevada desert, that definition would be oversimplifying matters. The report released Dec. 17 places the nonprofit's financial information in the public domain for the first time in the form of its IRS 990 Form. Costs of grants, employee salary compensation, travel and equipment rental are all listed as the organization marks transparency as the sign of a "healthy nonprofit." In 2014, it brought in over $32 million and spent just over $30 million. 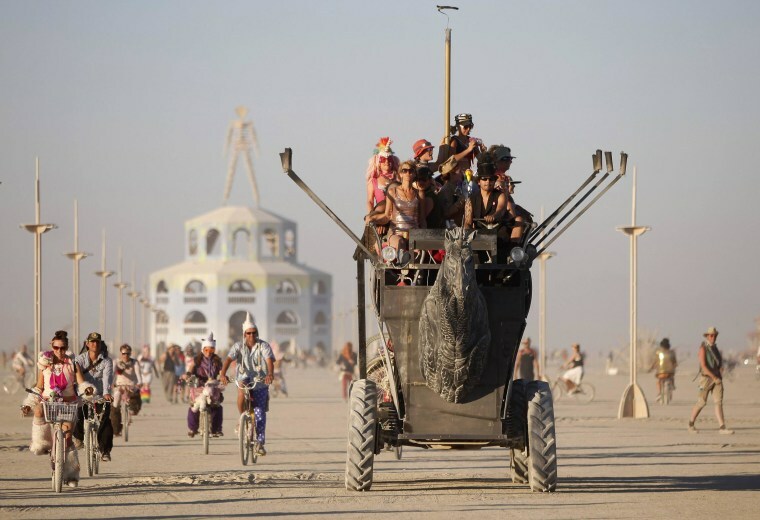 Black Rock City LLC began the transition of becoming the nonprofit Burning Man Project in 2011. Now, the organization is setting its sights on extending its reach beyond Black Rock Desert so it can serve "the public good." The project integrated its different facets last year to create one company that focuses on the areas of art, civic engagement, inclusion, education, global networking, philosophy and gifting. "Folding all of our organizations into a nonprofit structure has given us the opportunity to recreate an organization that will best support our worldwide culture of inclusion, participation and responsibility," wrote CEO/Engagement Officer Marian Goodell in the report. This emphasis on creativity and culture has attracted notable attendees such as SpaceX CEO Elon Musk, Google co-founder Larry Page and, according to certain rumors, Facebook creator Mark Zuckerberg. These Silicon Valley giants are taking part in the annual expression of hedonism to get creative and discover their next big ideas, according to a story published by Fast Company. "By investing the necessary time and resources, we are building a solid nonprofit that we are confident will successfully support the spread of our global culture of self-expression, participation and civic responsibility," wrote Goodell. Josh Weiss is a contributor to CNBC.com.